While visiting Singapore of course I couldn’t miss the heart of the Indian community – the famous and vibrant Little India. In order to soak in all the colors, scents and traditions of Little India to the fullest I thought it was best to walk to all the places of interest rather than using any kind of transport. I took the MRT right next to the hotel I was staying, the Parkroyal on Pickering, and I headed to the Little India train station and started my tour from there. 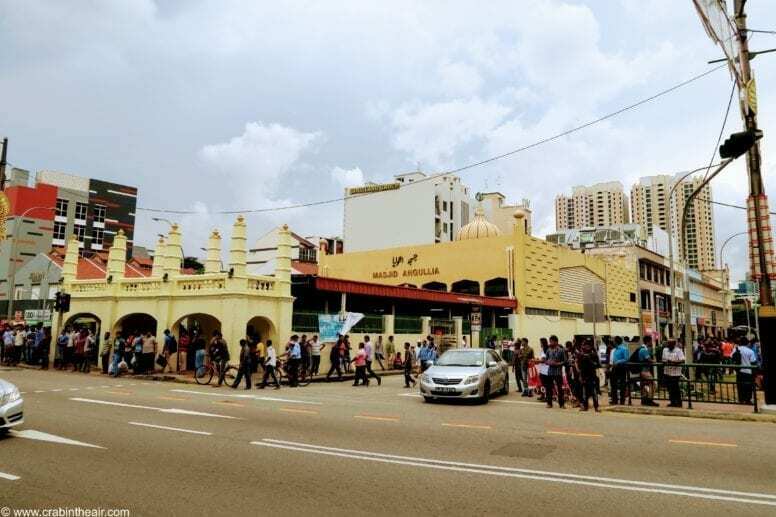 As soon as I left the train station and found myself on the crowded streets of Little India I immediately felt the incredible energy of this place mixed with a wonderful scent of basmati rice, herbs, and typical Indian spices. 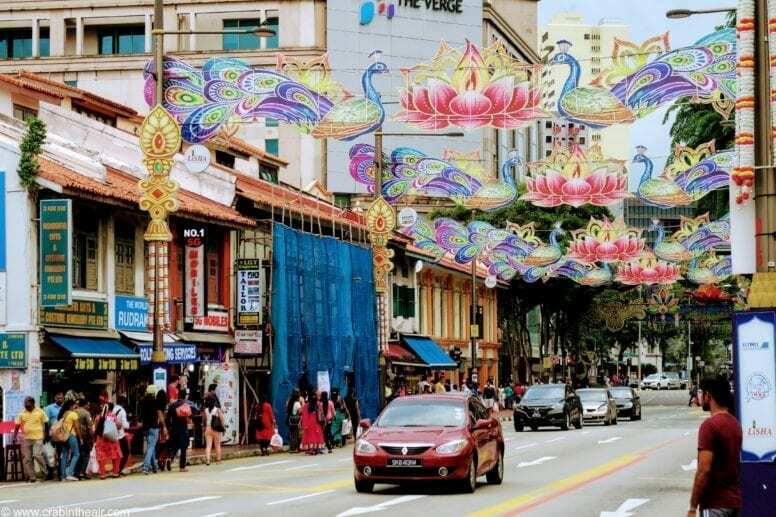 Where to Eat in Little India Singapore? After a short walk, along Kerbau Road I saw the first important part of my tour and that is Tan House. 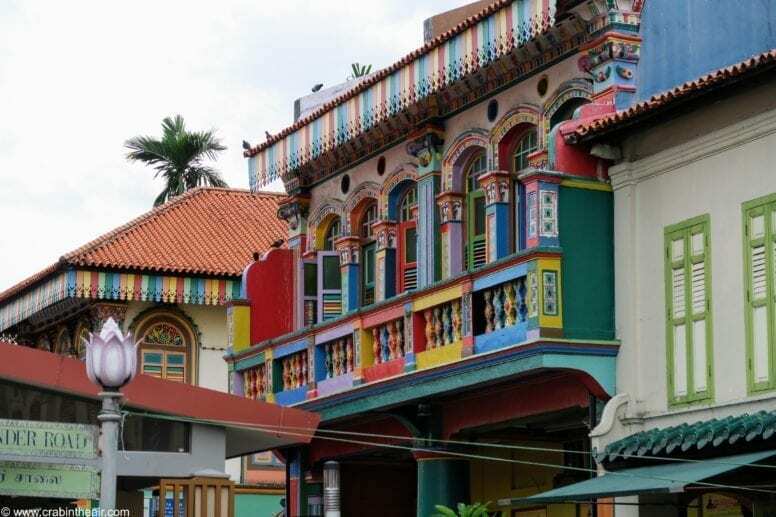 The House of Tan Teng Niah is one of the most colorful buildings I’ve ever seen and it used to belong to a Chinese businessman. Just like everybody else I took dozens of photos of this kaleidoscopic landmark. 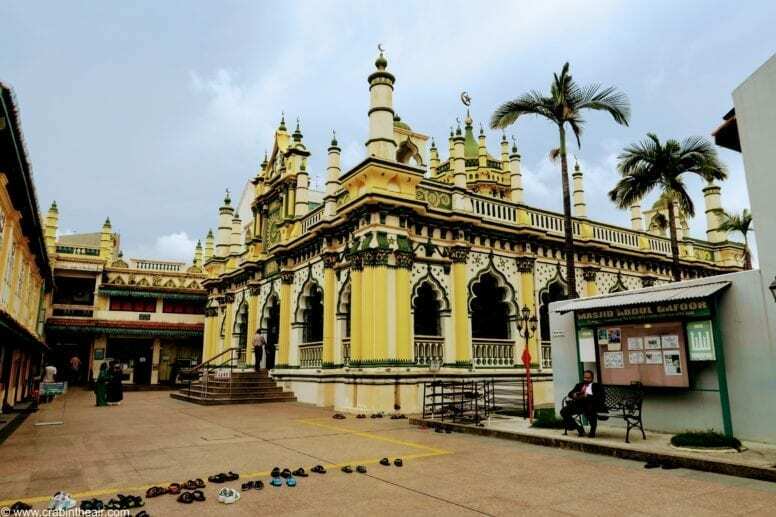 Soon after I reached the Masjid Abdul Gaffoor Mosque – a beautiful mix of a Victorian and Arabic architecture. Above the main entrance, there is a splendid sundial with 25 rays which indicate 25 names of prophets. 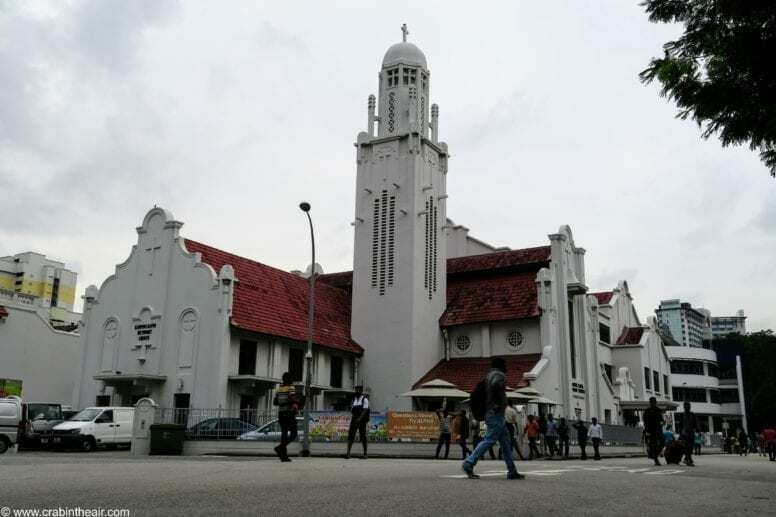 The next landmark of my Little India tour was the Kampong Kapor Methodist Church which was founded in 1989. 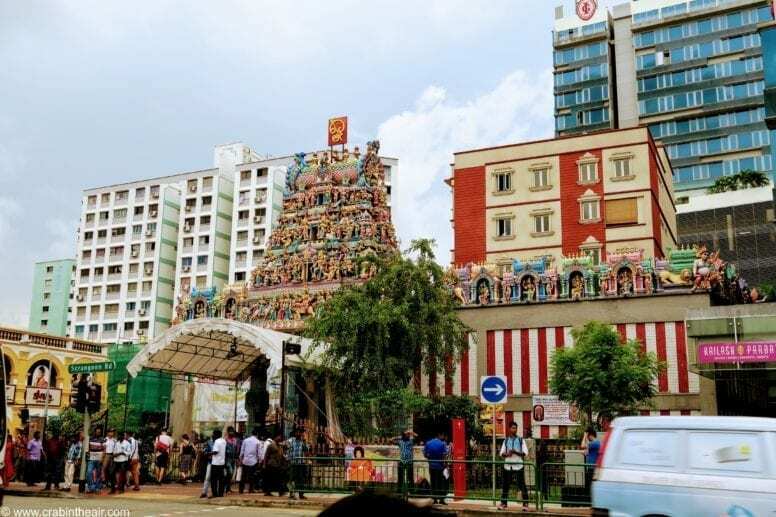 Another place you really can’t miss if you are visiting Little India in Singapore is the Sri Veeramakaliamman Temple – the main Hindu temple of the quarter and one of the oldest in Singapore itself. I personally loved the colorful detailing of this temple and found its history particularly interesting and engaging. 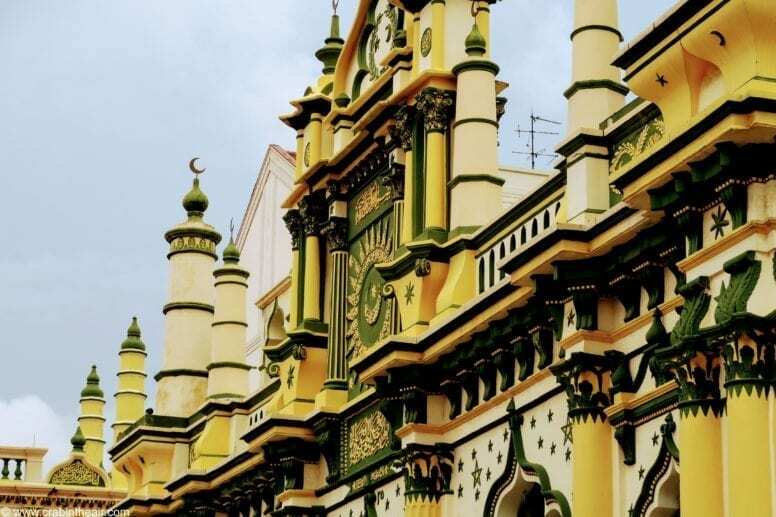 Angullia Mosque dates back to the 1890 and is an important place of worship for the Muslims of Little India Singapore. If you are interested in doing some shopping after admiring the Angullia Mosque there is a shopping mall nearby – Mustafa Centre opened 24/7. In this shopping center you can buy just anything, from clothes and shoes to electronics or even jewelry – all of which at really low prices. 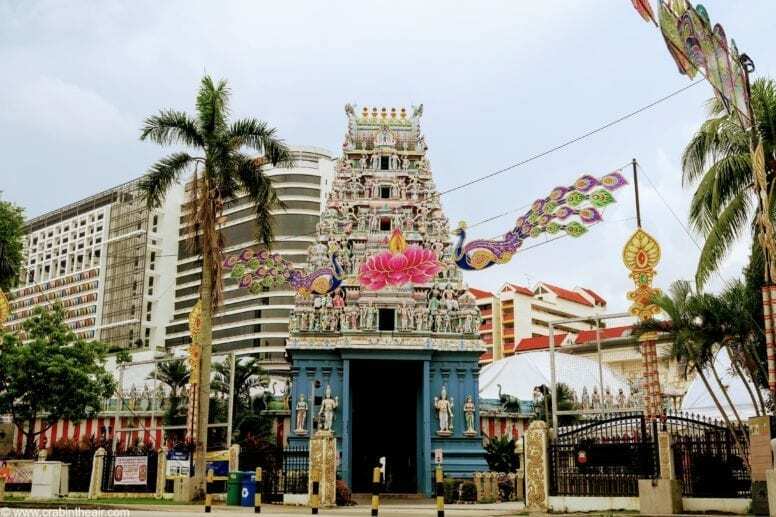 Other shopping malls in Little India in Singapore include Nalli (where you can find beautiful silk and sico sarees and gagra) and Tekka Centre (especially nice for fresh fruit). This temple dedicated to Lord Vishnu dates back to 1855 while the 20 meters tall tower was added in 1966. The gopuram is absolutely splendid and is richly embellished with beautifully made statues. Inside the temple, there is a wonderful statue of Vishnu, of Lakshmi and Andal and also of a bird Garuda. 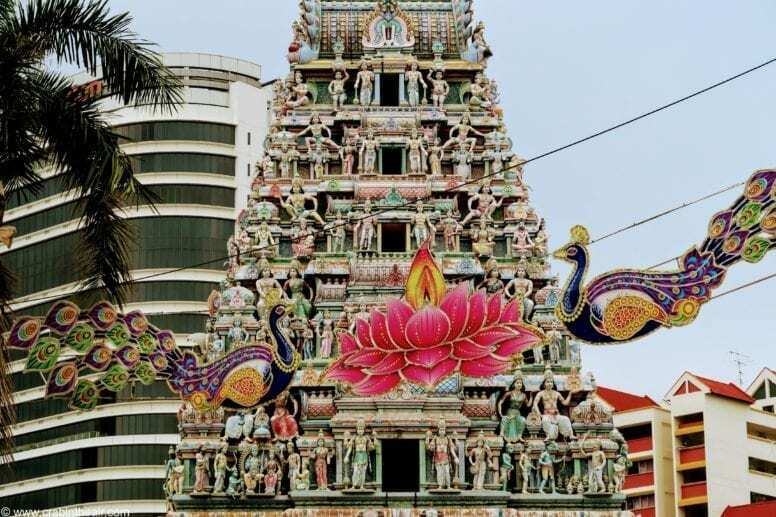 Your Little India tour can’t happen without visiting this incredible landmark – one of my favorite in the entire district if not even in Singapore. 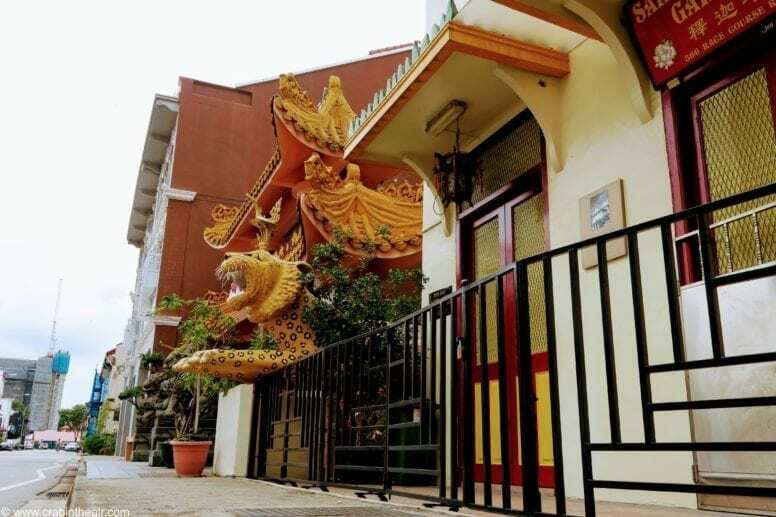 A very short walk from the Sri Srinivasa Perumal temple there is another incredible landmark of Little India – the Leong San See Temple also known as Dragon Mountain Temple. 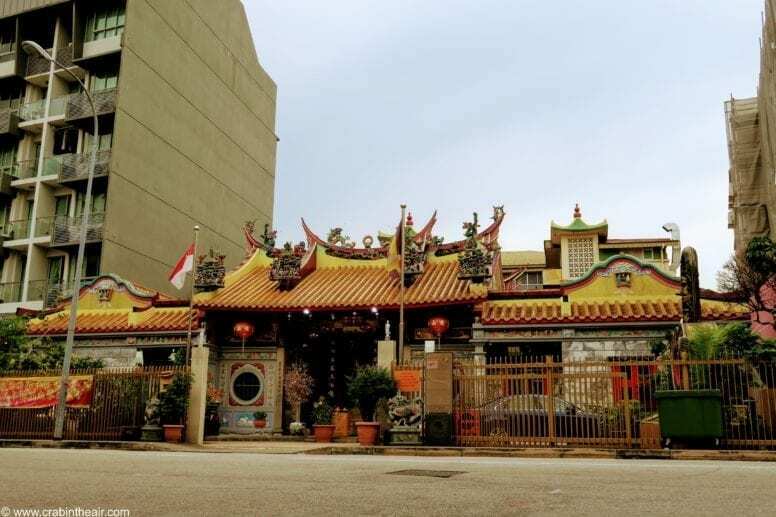 This temple which is dedicated to the goddess of mercy Kuan Yin was once a school for local kids while now is an active place of worship. 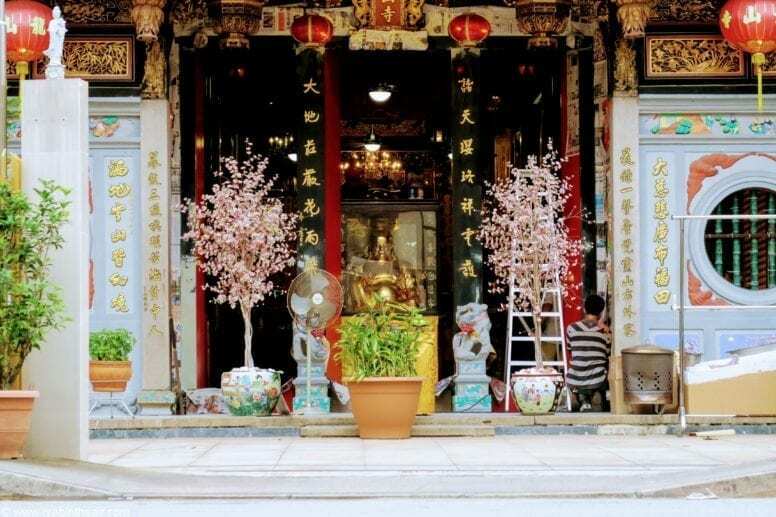 The last part of my discovering of Little India in Singapore was the Sakya Muni Buddha Gaya Temple – a Buddhist temple with an impressive 15-meter high statue of a seated Buddha. This temple was founded by Venerable Vutthissara, a monk from Thailand in 1927. Originally a wooden structure, the temple was rebuilt with funds donated by devotees and by brothers Aw Boon Par and Aw Boon Haw. This landmark is reminiscent of a Thai wat as it features a stupa and a Thai-style roof. It is also known as Temple of a Thousand Lights for the many lights surrounding the tall Buddha statue which depicts Buddha’s posture when he attained enlightenment in Bodh Gaya, India. I finished my day in Little India at the Ananda Bhavan Restaurant enjoying some of the best vegan and vegetarian Indian options I’ve ever had and also at a very convenient price – definitely a great place to eat when visiting this neighborhood. What a great guide! I’ve heard many good opinions about the Ananda Bhavan Restaurant and can’t wait to eat there when I’m in Singapore next month. Thanks Mia! I loved that place!